It’s a bit late in the day, I know, but I decided to give my bike a name, as she has been so good – I have decided she is female. She really gave me no trouble during the trip – the gears just weren’t adjusted properly from the start – I must learn to do this myself before next time (if there even is a next time). She started squeaking every time I did over 100 Kms. and on the last day she squeaked most of the time. She had just had enough. There was also some clicking and clattering, especially when she was tired, but she did a wonderful job in getting me here safely. I did give her a wipe down with a damp cloth a couple of times, cleaned and oiled the gear-change now and again and checked the tires once, but apart from that I sadly neglected her care. Of course, there was the problem of getting the raincover caught in the brake, but that was my fault, not hers! 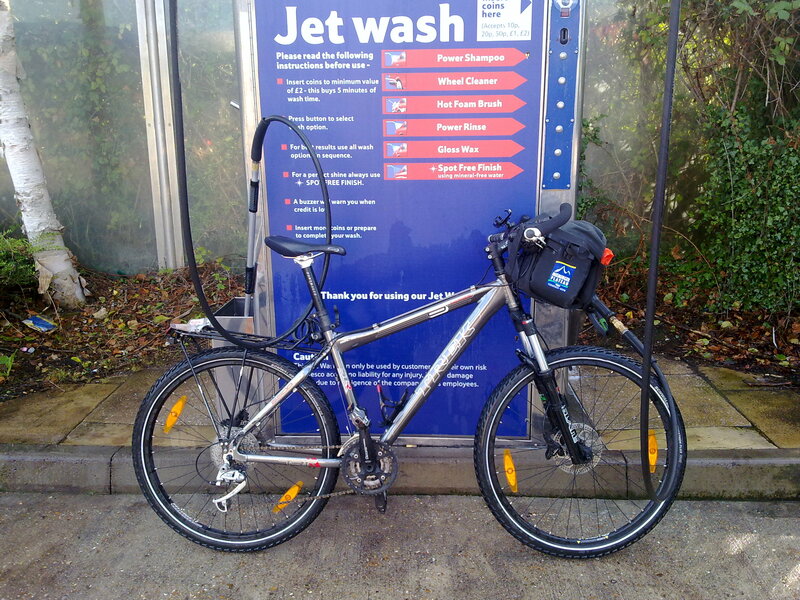 As a reward I cycled on my first cycle free day to the carwash. On the way back she was as smooth as ever. This entry was posted in Bike, Charity, Cycle, Rad, Sponsored, Uncategorized. Bookmark the permalink.